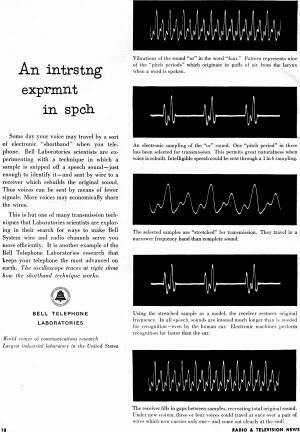 Here is a little insight into early speech processing research by the Bell Telephone Laboratories. 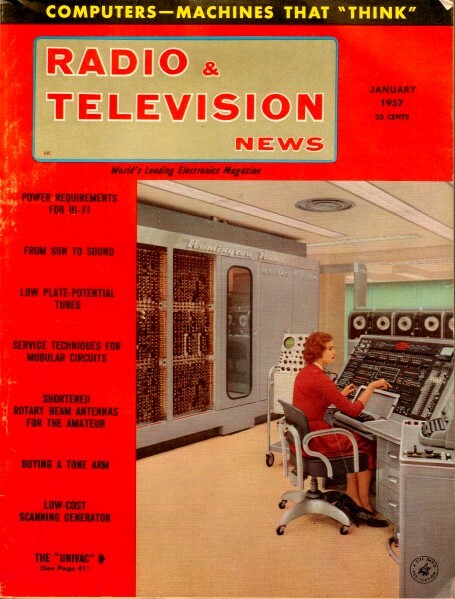 1957 was the early era of real-time digital processing where the need to cram more calls into less signal space (bandwidth) led to sampled systems - 1:6 in the case of this advertisement from Bell that appeared in Radio & Television News. Engineers of the day would be amazed at how the state of the art has advanced since then, both in mathematical techniques and in miniaturized hardware. Vibrations of the sound "or" in the word "four." Pattern represents nine of the "pitch periods" which originate in puffs of air from the larynx when a word is spoken. An electronic sampling of the "or" sound. One "pitch period" in three has been selected for transmission. This permits great naturalness when voice is rebuilt. Intelligible speech could be sent through a 1 in 6 sampling. The selected samples are "stretched" for transmission. They travel in a narrower frequency band than complete sound. Using the stretched sample as a model, the receiver restores original frequency. In all speech, sounds are intoned much longer than is needed for recognition - even by the human ear. Electronic machines perform recognition far faster than the ear. The receiver fills in gaps between samples, recreating total original sound. Under new system, three or four voices could travel at once over a pair of wires which now carries only one - and come out clearly at the end! Some day your voice may travel by a sort of electronic "shorthand" when you telephone. 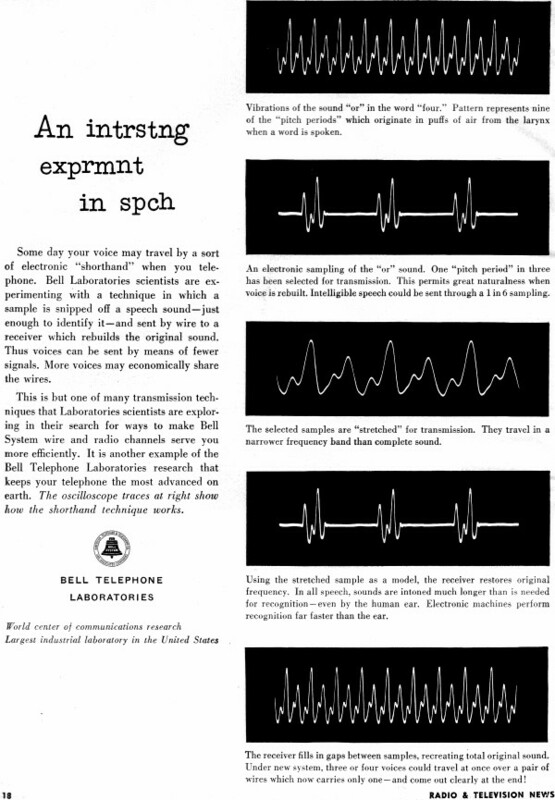 Bell Laboratories scientists are experimenting with a technique in which a sample is snipped off a speech sound - just enough to identify it - and sent by wire to a receiver which rebuilds the original sound. Thus voices can be sent by means of fewer signals. More voices may economically share the wires.